Awapuhi Adventures offers private tours of Maui and is your go-to private tour company on the island of Maui, Hawaii for singles, couples, families and small groups. The logo represents our commitment to the aina (land) and the ocean. 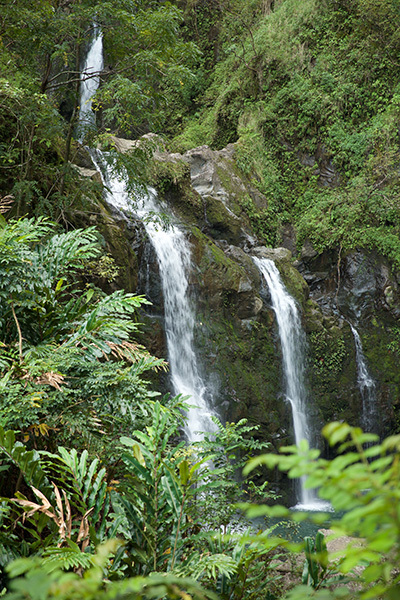 We offer Hana private tours and adventures all over the island of Maui. We are so glad you are here and ready to start your Awapuhi Adventure! Our goal is to be your best adventure and guide choice on Maui! Please check out our Trip Advisor reviews with over 300 and counting! We have been in business for over 8 years and continue to provide 5 star rated tours for your family and friends! We know you have several choices when it comes to planning activities on Maui. BOOK WITH US TODAY and get away from the crowds. Go at your pace and connect with your friends and family while exploring Maui from mauka (mountains) to makai (ocean). Learn about Hawaiian and natural history, and most importantly, having a lot of fun! Our specifically tailored adventures are private tours of Maui designed for your interests and fitness level. We have leisurely adventures for those interested in general sight-seeing tours. Mid-level adventures are for those interested in swimming in waterfalls and hiking on some trails. We even have Extreme adventures for athletic clients who want to sweat a bit while on their vacation in Maui (maybe even climb a rope or two to secluded beach or lava tube)! Let us know if you want to rock hop up secluded streams! We can accommodate if weather permits. Please EMAIL, CALL US or BOOK NOW to reserve your Awapuhi Adventures and experience private tours of Maui as you have always dreamed of and more! Please don’t miss the chance to tour with us!